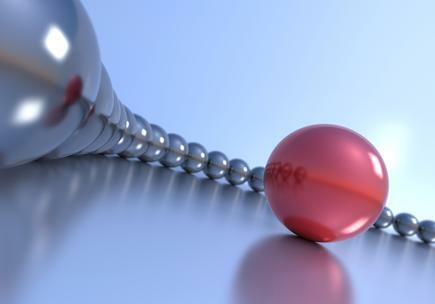 CIOs of New Zealand’s biggest IT-using organisations demonstrate ways of responding quickly to new and often disruptive business technologies, while simultaneously preparing for their long-term impact. Tait provides integrated, secure, mission-critical communication systems to clients across the globe including police and utility companies. “We are an IT company, essentially,” says John Emerson, global CIO. Emerson returned to New Zealand nearly two years ago following CIO roles in the United States. He claims the role of IT has become more crucial to the business over the years. When he first arrived to Tait almost two years ago, 3 per cent of the IT department was dealing directly with client issues or Tait’s customers around the world. Today, that percentage has increased to 40 per cent. CIOs have to be forward thinking and anticipate business needs before they occur. Emerson also finds himself working with customers – locally and overseas – on a raft of projects like portals and Web applications. He has also moved the company to cloud-based services, and has a policy to move all applications to the cloud that require access beyond New Zealand. The main business drivers are to improve time to market and decrease cost. “To me, CIOs have to be forward thinking and anticipate business needs before they occur… because a lot of our work, in terms of systems integration, can take time so we need to be ahead of the game,” he states. Emerson’s experience is replicated across many organisations in this year’s CIO100, our annual report on the top IT-using organisations in New Zealand. The ranking – based on a combination of screen numbers, turnover and staff – provides a snapshot of the key challenges government and organisations face, and how they manage these concerns. 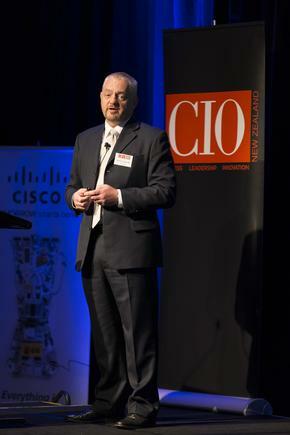 Who made it to the 2014 CIO100? A challenge exists in finding the right level of suitable competencies in the marketplace. A standout observation in this year’s report is how the organisations are being impacted, more than ever, by the range of new and often ‘disruptive’ technologies that have continued to grow and morph in the last five years. IT has permeated organisations in such a manner that one CIO asked whether there are even ‘IT projects’ at all. “The reference to ‘IT projects’ is fast becoming a dying term within our organisation, and we are beginning to see the emergence of projects more aligned to business change and enterprise transformation,” says Aaron Toatelegese, head of enterprise technology services at Bank of New Zealand. This year also finds another layer added to the change management strategy for enterprises. Staff, customers and business partners expect to be able to access systems any time, across different channels and devices. A constant in the research is the dominance of public sector agencies in the list. Finance and insurance, and wholesale and retail trade, are leading in private sector organisations. Per region, Auckland leads the list with 46 organisations, followed by 33 in Wellington and seven in Christchurch. The rest are based in Dunedin, the Waikato region, Napier and Palmerston North. An interesting insight is how the economy has impacted three key areas: Staff, budget and projects. Firstly, budgets and staff remain constant for the majority of organisations, but both are projected to increase. So where are CIOs spending their budgets in the next two years? The majority of organisations surveyed plan to invest in cloud computing and software-as-a-service (SaaS) in 2014. This is followed by initiatives in financial management information systems and e-business, CRM, business intelligence and analytics, and business continuity and DR.
About a fifth reported an increase in projects of more than 10 per cent on last year including Datacom, IAG, NZ Defence Force, University of Otago, University of Canterbury, TVNZ, IBM, Capital and Coast DHB, Tait, APN, Fisher & Paykel Healthcare, St John and Healthcare of New Zealand Holdings. Cloud services are soaring, but CIOs are forthright about the factors for moving in this direction. “We are looking more and more at cloud services but have a simple philosophy for the use of cloud,” says Stuart Haselden, ITS director, Victoria University of Wellington. As for choosing cloud service providers, the CIOs say the number one attribute when considering a provider is SLA (service level agreement) offerings, closely followed by competitive pricing. Ranking third is reputation; that the vendor is considered a trusted advisor. Less important is whether the vendor had done business with the organisation previously. This year has seen the appointments of new CIOs across sectors, with several organisations creating new CIO roles. Two organisations that have newly created CIO positions are Fletcher Building, which appointed group CIO, Carl Powell; and St John, which appointed former World Health Organisation CIO, Martin Catterall. Westpac created the post of chief operating officer that is incorporated with the chief information officer. The 2014 survey tracks for the first time the numbers of years CIOs or the heads of IT are in their roles. The average CIO tenure is 4.3 years, but the median is three years. Sixteen per cent of CIOs have been in their respective roles for at least eight years. Less than one per cent have been in their roles for less than a year. Among the new business-technology executive appointments is Carl Moore, director global process data and systems at Fonterra, who is in charge of all IS functions and the delivery of the global systems transformation. 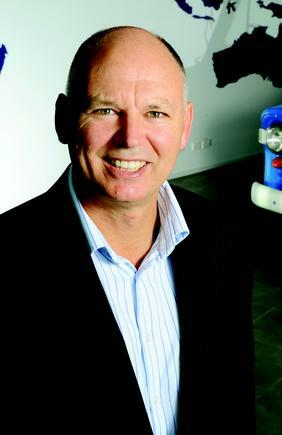 The former Fonterra CIO, Chris Barendregt, left after six-and-a-half years. Stuart Wakefield is the new CIO at Ministry of Education, replacing Leanne Gibson, who is now CIO at Wellington International Airport. Long-term Beca CIO Robin Johansen has left. Thomas Hyde, group director of delivery strategy, also has the CIO portfolio. Fairfax Media has a new CIO Richard Wilkinson after Nigel Bailey joined the media company’s Australian headquarters. Murray Mitchell, chief technology officer at NZ Police, has been seconded for two months as CIO at NZ Fire Service, following the resignation of Alma Hong. Other new ICT executive roles include: Chris Trigg, general manager information technology at Genesis Energy; Chris Buxton, chief technology officer at Statistics New Zealand; Ed Overy, KiwiRail CIO; and Nicole Hughes, PwC general manager of IT operations. New Zealand Lotteries restructured its IT team last year and appointed Brett Cross as head of technology operations and Ben Coney as general manager for digital channels and customer solutions. Cross is responsible for the technology function and Coney is in charge of Lotto’s online channel, MyLotto.co.nz. Thirty-six CIOs and ICT chiefs report to the CEO, managing director or equivalent. For the past three years, this figure has consistently been above a third of CIOs interviewed. Thirteen report to CFOs and other heads of finance. The next most common reporting line is to the head of operations, which is the case for eight CIOs this year. The rest report to executives with a range of roles that include deputy GM, executive general manager, NZ shared services, group general manager innovation, strategy and technology, chief HR officer and vice president supply chain. CIOs of 18 organisations manage overseas teams from their base in New Zealand. These include Fonterra, SkyCity, Mainfreight, Fisher & Paykel Healthcare, Beca, Tait, and two from government – Ministry of Foreign Affairs and Trade, and Ministry for Primary Industries. We are dipping our toes in the ‘sea of cloud services’ but at this stage our roadmap remains focused on ‘on premise’ for our core systems. Mergers and acquisitions, plus the rise of shared services, further impacted the rankings. This year, Foodstuffs North Island made it to the top 10 following its merger with Foodstuffs in Wellington. Capital and Coast, Hutt Valley and Wairarapa District Health Boards have formed a shared services model for their IT teams, thus putting them in 26th position this year. In the education sector, a great example is the partnership between Whitireia and WelTec. The two institutions are moving to a shared services model for ICT services and procurement. 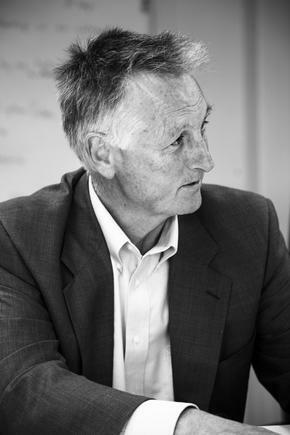 For Wellington City Council, one of the key projects in 2014 is regional shared services. Mobilisation of the workforce is another key theme across sectors. The NZ Police, Inland Revenue, NZ Defence Force and Transpower are examples of organisations that have significant mobile workforce enablement projects either underway or planned this year. BYOD has become mainstream; 59 per cent of respondents have policies in place, with 24 others saying it will be allowed in the future. Universities are providing the most extensive BYOD approach. A variant of BYOD – choose your own device (CYOD) – is also gaining traction. An example is Turners and Growers, which has an active CYOD policy, allowing users to choose from a pre-selected range of devices they can bring to work. At Kristin School, desktop numbers have taken a dive, mobile computer numbers are down, but hand-held devices are “way up”. The move towards BYOD, however, has highlighted another issue – security. “Maintaining the fine balance between security – data and system security, and safeguarding the organisation from hackers and attacks – and enabling user access to the latest technology, and supporting BYOD, will be the new conundrum,” says Gina McEwen, information services manager at Hawkes Bay District Health Board. This concern is echoed by Datacom CIO, James Pan. The number of hand-held devices has doubled since last year at the ICT services company. Today, his IT team supports 1600 smartphones and tablets compared to 800 devices in 2013. Maintaining the fine balance between security –and enabling user access to the latest technology, and supporting BYOD, will be the new conundrum. CIOs talk about deploying technologies that not only allow people to work across channels but also facilitate team work. Activity-based working (ABW) is the norm for ASB, following its move to its new headquarters. The building in Auckland’s Viaduct was designed to encourage the 1400 staff to work where, and with who, it suits them each day, and with the technology of their choice. Fairfax Media is following suit and Wilkinson says the top priority for the IT team this year is adopting ABW. “ABW is characterised by a dynamic and stimulating environment, offering a range of functional spaces and settings for people to either concentrate individually or work together as a team,” he says. The rise of digital platforms is providing organisations with massive amounts of data. This year, more CIOs are using analytics in a bid to make real-time decisions on available data, and the others are for strategic planning. We see a big push in providing our customers with more intelligence by taking data and making it immediately meaningful to them. “We see a big push in providing our customers with more intelligence by taking data and making it immediately meaningful to them, whether it is by way of historical reporting or instantaneous updates on their freight or orders,” says Kevin Drinkwater, CIO of Mainfreight. One of many long-term challenges is the relevance of the traditional technology department, says Rhoda Phillippo, COO of Infratil. “With the advent of BYOD, cloud services and digital media, the technology department needs to find new ways to move up the value chain, deliver value and reinvent itself as a true business technology department. [It also needs to] partner with its internal business ‘customers’ and deliver business outcomes rather than system upgrades,” she says. The leading business and technology trends noted in our CIO100 research. The evolution of the CIO role continues at a heightened pace to match the growing convergence of technology trends of mobile, social, cloud and big data. This is compounded by the rise of the Internet of Things and continuous uptake of digital platforms. CIOs are working on customer-facing systems, backing and leading digital initiatives, and developing new capabilities in their teams as they tackle new technologies and ways to access technology services. A related development is the creation of executive roles with an added focus on digital. 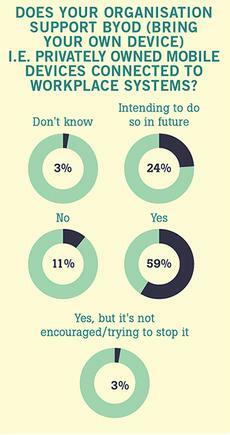 Close to 60 per cent of the organisations surveyed said the number of ICT projects is increasing in 2014. About a fifth reported an increase in projects of more than 10 per cent on last year. 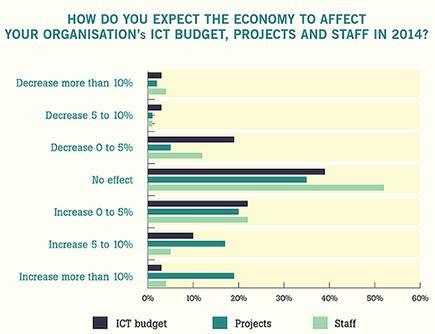 The surge in numbers does not apply to ICT staff, as more than half expect the numbers to remain stable, and a fifth expect an increase of up to 5 per cent this year. CIO100 organisations are actively deploying or planning to invest in cloud computing and software-as-a-service. ‘Cloud first’ has permeated the strategic planning space for new projects. 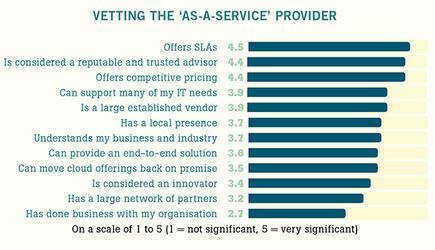 CIOs are vetting their ‘as-a-service’ partners through three key parameters: SLA offerings, competitive pricing and reputation, and the vendor’s reputation. Last year, CIOs were talking about how big data impacts the enterprise at every level. This year, more CIOs across government and private sectors are tackling the enormous data amassed through greater investments in business analytics. The latter, they say, is critical for gaining better customer insights and real-time decision making for staff and executives. There are several significant shared services projects underway in 2014, with the goal of delivering better services while reducing costs. These activities are occurring in both government – as exemplified by the health agencies – and in enterprises, as seen in Fletcher Building and in Foodstuffs North Island. CIOs talk about projects aimed at increasing collaboration among staff, and working with teams across different locations. These new ways of working are underpinned by technology, as evidenced by the deployment of collaboration tools like videoconferencing, and the foray by some organisations into activity-based working to provide more flexible workspaces and practices. BYOD is the norm. With only a few exceptions, the great majority of survey respondents either fully support BYOD or plan to do so in the future. About 60 per cent already support BYOD, and another quarter stated they intend to. The vast majority of organisations surveyed support Apple iOS within their organisations. The number of mobile devices in the enterprise continues to significantly rise, with some CIOs citing two- and three-fold growth of devices since last year. CIOs stress the importance of being able to offer a secure and robust service to support users, as technology allows them to be more mobile in their work. Managing increasing expectations from ‘tech-savvy’ users and stakeholders, particularly in the mobile and online space, while keeping information secure, is cited as a major challenge for the future. 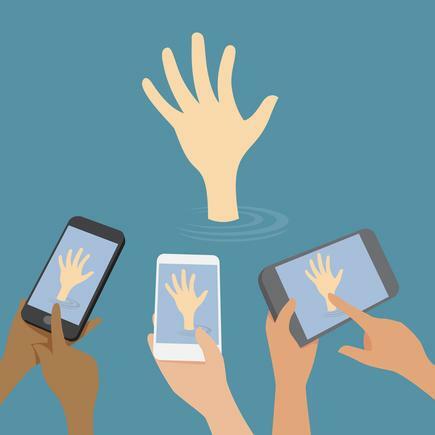 Ease of engagement with the organisation when they want it, across different devices and channels, is a growing expectation not only with customers but also with staff and business partners. The ICT team plays a critical role in making this happen. Ulrika Hedquist wrote the profiles of the CIO100 organisations. 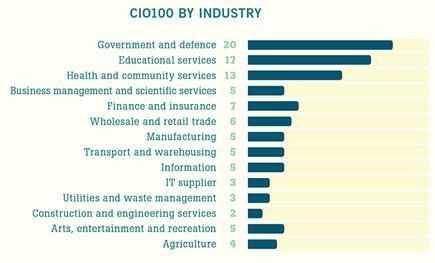 The IDG research team in Australia assisted in the analysis of the CIO100 data and graphs.